If you’ve ever wanted to uncover the mysticism and “magic” surrounding tarot card reading, then shut your cell phone off and minimize your e-mail for the next 5 minutes. 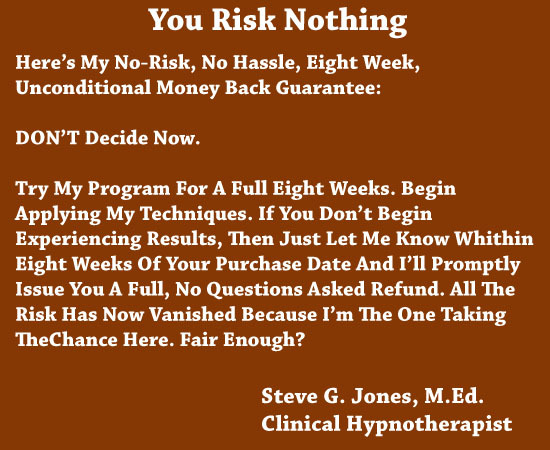 My name is Dr. Steve G. Jones, Ed.D., Clinical Hypnotherapist and for the past 25 years of my life I have been helping people improve their lives using the power of hypnosis. The metaphysical and the mind were two things that always fascinated me and the beginnings of that were spawned by my deep interest in spirituality and mysticism. When I was a teenager attending military school, there were times where – like most kids my age – I became very bored and needed a little something to break up the monotony of the constant studying and school work. Most of the other students did this through sports or partying or a little of both. I on the other hand, had different interests. What I found was that the more I got into this kind of stuff, the more I wanted to learn more about each topic. But aside from that, I wanted to learn about other topics like astrology, numerology and developing psychic powers. One thing that really interested me was tarot card reading. As I read more and more books on numerology, I kept coming across the subject and decided it would be pretty cool to learn about it and perhaps start practicing on other students in school. I began reading anything I could get my hands on that related to tarot card reading and really immersed myself in the subject because I wanted to expose myself to the different ways in which tarot reading is done. I wanted to test which methods were really the most effective and I wanted to be able to identify which areas I was good at and which ones I struggled in so that I could become a master. As I really got good at this craft, people began asking me to teach it them. They would say things like “Steve, teach me how I can take these cards and look into the spiritual pathways of others just like you do”. Back then however, I couldn’t do such a thing because I had no system to follow. You see, I was naturally good at certain things and to become good in the areas that I struggled in, I had to work really hard and invest an amount of time and research that most other people aren’t willing to do because it’s really not that important to them. To most people, tarot card reading was something cool and interesting that they could pick up as a new hobby if even that. This was more than just a hobby to me. It was a passion. And that passion transformed into years of research into what it would take to create the type of system that people were asking for way back when I first starting tarot reading. And now, I’m happy to say that formula is finally complete. Experience Transformation – Discover the secret to transforming your life experiences into wisdom that can be used in reading the tarots. Introduction To The Tarot - Here we will cover the basic fundamentals of how the tarot reading process and how it all works. Card Movement – Next we’ll explore the format behind spreading the cards. Card Interpretation – Discover the methodology behind how you can interpret the cards once they are spread. Three Card Spreading – Here you’ll learn about the three card spread and how it can be applied to past, present and future or context, focus and outcome. Tarot Interpretation – Here I’ll show you how the card spreading can relate to certain examples of tarot interpretation. Numerology - Discover how numerology plays a role and why it’s essential to master this step. The Major Arcana – Here you’ll discover the 21 cards which relate to matters of higher purpose or deep significance in one’s life. Multiple Interpretation - Discover the various ways to interpret the cards. The Minor Arcana – Here you’ll learn the meaning behind the 56 pip cards theat make up the Minor Arcana. The Classical Elements – Here we’ll explore the meaning and role of the classical elements which consist of air, earth, fire, and water. Your Personal Year Number - Discover your personal year number and what it says about your life events. The Court, Royal And Person Cards – Here you’ll learn how to both interpret the meanings behind each one of these cards and how they relate to a person’s spirit. Astrology And The Tarot – Here I’ll introduce you to the dynamic known as astrology and the role it plays in your newly discovered art. Astrology Exercise – Here you’ll discover a unique exercise which correlates to the astrological chart. Numerology And The Tarot – Here I’ll show you how reading numbers relates to the art of the tarot and future events. The Role Of The Life Path Number – Discover the secret to using the life path number when interpreting the tarot cards. Here’s where things get really good. But now, through the power of technology and an application built on the platform of the study of how people learn also known as Cognitive Psychology, you can not only access the same information and techniques that I have introduced to countless people from the privacy of your own home but you’re going to save a ton of money as well. 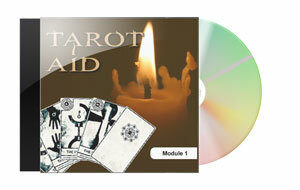 For just $27.97, you can begin learning to read tarot cards right now. That’s right; I’m going to give you $25,000 worth of secret information for just $27.97. And to make the decision to own Tarot Aid even easier, I’m going to let you try it absolutely risk free for a full 8 weeks. Here’s how it works. So let me ask you, are you ready to learn about the “magic” behind tarot card reading? Are you ready to become an expert in reading the spiritual pathways of others? If so, don’t wait any longer, own this program and begin the journey to understanding and reading the tarot! P.S. - Remember, your ability to interpret that tarot is only moments away. You can simply download the program and put your new found knowledge to work immediately. P.P.S. - Don’t forget, you have a full 8 weeks to experience how “real” this program truly is because if you’re not 100 percent satisfied for any reason whatsoever, I’ll buy it back from you.